It's hard to believe we're in the final month of #100Days100Blocks. I'm not going to lie, I'm so ready to be done with this! I've been pretty good about getting my blocks done well in advance but I've been having more iPhone problems which led to having to reshoot a bunch of photos... NOT fun! This is the first time I put this up on my design wall. 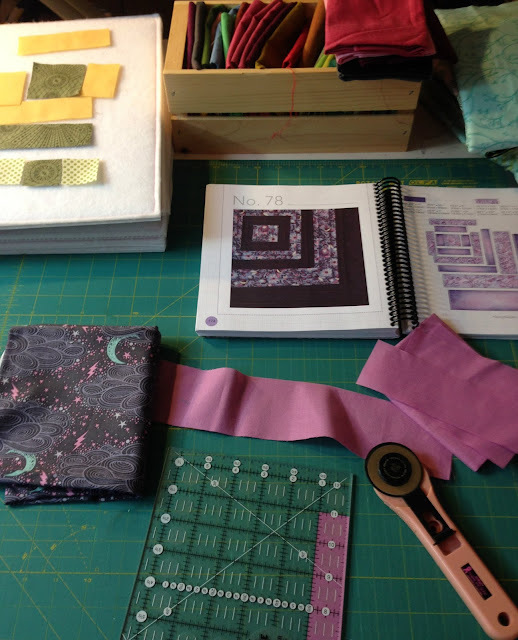 I was concerned I'd need to be more thoughtful about my fabric choices as we come to the end but my anything goes approach seems to be working. 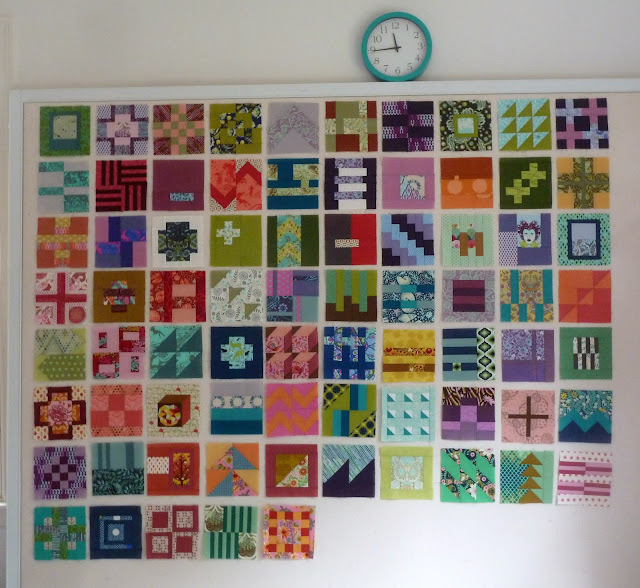 Most of the blocks include at least one Tula Pink print and almost every collection is represented. It's so fun to see them all together!!! I'm starting to think about how I'll put this one together. It definitely needs sashing but I haven't decided if I'll do something fancy like Kayak Quilting or just keep it simple. They look fantastic all together, Alice! W.i.P. Wednesday: Is There a Doctor in the House?